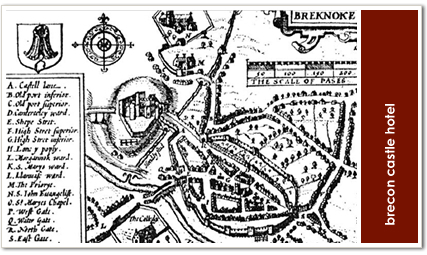 Brecon Castle was much fought over. From Newmarch, the castle passed to the Braose dynasty. King John seized it from William de Braose, who was in rebellion, in 1207 and William’s son Reginald recaptured it during the Magna Carta war. In 1241, it passed to the Earls of Hereford, the Bohuns. (Welsh Castles, Adam Pettifer, p. 8). 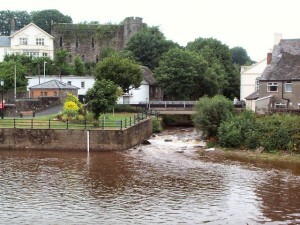 Brecon Castle plays an important role in my After Cilmeri series. I love your books. I’m on the second reading of your books, Daughter of Time and the after Cilmeri series. I love history and enjoy the historical parts of the stories along with the fantasy. I will probably read them again at some point. Love them! Great post. Do you know why Humphrey de Bohun originally sided with de Montfort and later went back to Henry? I was curious and have never found an answer for that. Also, I am currently reading Footsteps in Time. I love it! I am printing it out for my niece (13 yrs and a great reader) because she doesn’t have a kindle or whathaveyou. I just read the line “Father is going to freak” and I laughed out loud. Great yarn and awesome history. Humphrey de Bohun (2nd Earl of Hereford) was involved in the Baronial complaints against Henry in the early days. His son overtly sided with Montfort but after both the younger Bohun and Montfort died at Evesham, Bohun senior had no choice but to bow to Henry if he wanted his grandson (also named Humphrey) to succeed him. After the end of the Baron’s war, Bohun paid a fine and was forgiven. I realize in my blog I didn’t make it clear that it was CLARE who switched sides back to Henry, not Bohun. I’ve fixed that. I’m so glad you love Footsteps in Time! I’ve had fun with this series.